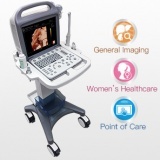 Why choose the SonoSite SII? 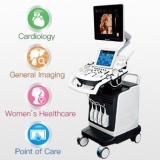 Purchasing ultrasound equipment is no small matter, particularly for departments like Anesthesia and Trauma, where both time and space seem to be working against you. So what makes the SonoSite SII a high-performance machine in these settings? 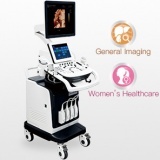 Several key features set the SII apart from other ultrasound solutions. You need an ultrasound machine that is ready to scan, stat. The SII goes from cold start to scanning in under 25 seconds. When your trauma bay is packed with medical personnel, it can be difficult to monitor everything. 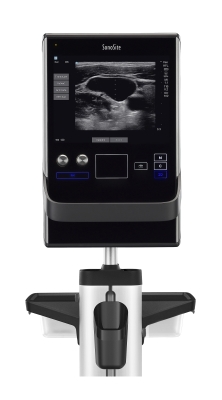 When space is at a premium, the SonoSite SII offers a stunningly clear picture. With its high visibility, non-reflective screen, and wide viewing angle, the Sll displays patient scans clearly from across the room. DirectClear Technology, available on the rP19x and rC60xi transducers, is a novel, patent-pending process that elevates transducer performance with improved penetration and contrast resolution. A unique combination of matching and de-matching layers surrounding the transducer’s crystal send more of the ultrasound signal into the body, producing an image that is clear and distinct. How often do transducer cables get rolled over, stepped on, or twisted? The rC60xi, rP19x, L38xi, and L52x (vet) transducer cables are surrounded by an embedded metal jacket, protecting your cables from damage. By safeguarding electrical connections inside, armored cables help maintain image quality over the life of your transducer. When it’s your job to administer a nerve block, assess internal bleeding, or perform a thoracentesis, you need technology that works right along with you. That’s why the SII has an intuitive user interface, familiar tactile controls, and dual transducer connectors. When time is of the essence, the SII is ready to perform the right exam at the right time with minimal set-up. 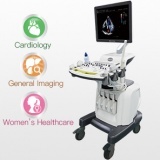 When space is at a premium, you don’t want an ultrasound machine that takes up one quarter of the room. 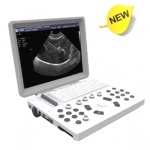 The SonoSite SII is designed to take up as little space as possible, while still providing crystal-clear imaging. The SII has a zero footprint when mounted on a wall, connected to an articulating arm, or used with a small-footprint optional stand, so you can bring the image closer to you. Optional cord management solutions make transporting the machine between rooms easier than ever. The SII’s award-winning design was created using clinician input, as well as thousands of hours of real-time observation of ultrasound machines in use in clinical settings. With the SII, you can easily switch between transducers and exam types. Two transducers can be connected simultaneously; change from one transducer to the other with two taps of the screen. Two screen taps will also easily switch between exam types on the same transducer. So if you’re performing an abdominal ultrasound exam and need to switch to a vascular exam, you can do it in just seconds. The SII was designed after thousands of hours of real-time usage observation, clinician testing, and practitioner interviews. The SII reintroduces features (like physical knobs to adjust gain and depth) that our customers told us improved the ultrasound experience. The Industrial Designers Society of America (IDSA) recognized the SonoSite SII ultrasound in the 36th Annual International Design Excellence Awards (IDEA). The SonoSite SII ultrasound machine is designed for use in multiple clinical areas, but is especially well suited to Anesthesiology, Vascular Access, and Trauma uses. Regional Anesthesiologists have enthusiastically embraced the SonoSite SII for help visualizing nerves and vascular anatomy while placing regional nerve blocks. Enhanced image quality and touchscreen controls, combined with nerve exam presets for rapid scanning, make the SII an excellent choice for anesthesiologists who wish to provide the best perioperative pain management. The SII is also easy to clean, making it the perfect choice for operating rooms in which infection control is an absolute must. The durable glass screen covers the full face of the SII, and can be disinfected. Touchscreen controls can be simply disabled before cleaning to avoid accidental activation of the machine while disinfecting. For post-operative analgesia, the interscalene block is favored by anesthesia specialists. The SII provides clear visualization of the needle and nerve during block placement, allowing precise placement of local anesthetic with minimal patient discomfort. For anesthesiologists, managing patient volume status is crucial to positive outcomes. The SII’s clear visualization of the IVC, heart and lungs enable anesthesiologists to quickly assess cardiac output, diagnose pulmonary edema and determine a patient’s volume status. Thoracic wall blocks such as the Pecs I & II are becoming increasingly popular among anesthesiologists who wish to avoid the risks associated with paravertebral blocks, while striving to provide exceptional post-operative pain management to patients undergoing breast surgery. The SII offers clear visualization of the major and minor pectoral muscles, as well as the pleura and vulnerable vascular structures. The SII’s steep needle profiling helps guide the needle tip for accurate local anesthetic placement. 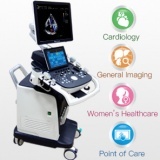 SII is a preferred machine for ultrasound-guided vascular access. The SII’s clear imaging and simple controls allow clinicians to simply and quickly adjust depth and gain settings to locate accessible locations for guided venipuncture and arterial access. Reduced speckle and enhanced contrast provide strikingly clear images of vascular pathways. On patients with challenging vascular conditions, the SII can offer ultrasound guidance for peripheral IV (PIV) placement, often mitigating the need for central venous catheter placement in patients whose venous access is otherwise impeded. For critically ill patients (and for those patients for whom a peripheral IV is not possible), the SII is often used for ultrasound-guided CVC placement, drastically reducing the instance of pneumothorax (as opposed to the landmark method). Both Color Doppler and Color Power Doppler modes are available on the SII. Visualize the presence and direction of blood flow in a wide range of flow states. The SII’s Center Line Guide provides onscreen visual guidelines to help determine the location of vascular pathways during live scans. For busy trauma bays, the SII offers an outstanding physical design (zero footprint when mounted on an attenuating arm; very small footprint when used with optional stand). With two built-in transducer connections, trauma specialists can rapidly go from eFAST exam (P19 transducer) to ultrasound-guided central venous catheter placement (with the L25 transducer). The easy-to-clean system also gets approval from infection-control advocates. The SII allows you to view ejection fraction and fractional shortening calculations simultaneously. The SII is protected by a 5-year warranty. This includes our overnight loaner guarantee: if your machine should stop working for any reason while under warranty, we will ship you a working ultrasound machine, overnight, to use while we fix your SII; free of charge. Use the SII’s exam presets to scan exactly how you prefer right away. Simplified controls and an intuitive user interface give you just what you need, without an overly complicated setup. You get the images you need, when and where you need them. The technology does what you want it to, when you want it to. Our machines are built to perform. Our products were originally built for military use. We make our equipment tough, because our customers need it that way. As a SonoSite customer, you and everyone who uses your SII gets exclusive access to continuing ultrasound education and online clinical content (including how-to videos and guides) at no additional charge. This page was last edited on 15 January 2019, at 05:06.